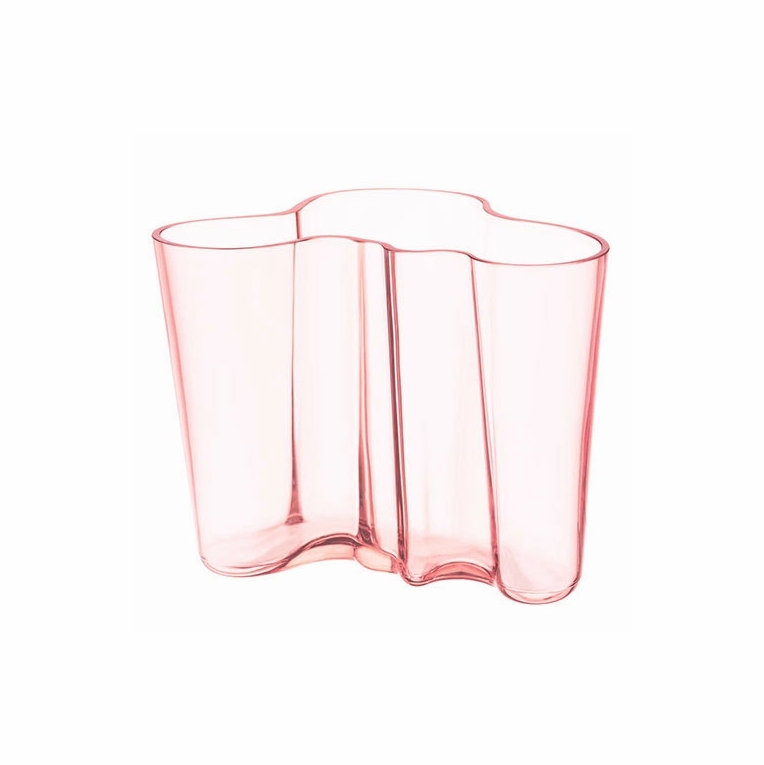 One of the finest colorways to be introduced, the iittala Aalto 6-1/4" Salmon Pink Vase is an instant charmer. The delicate rose-orange hue compliments the softly undulating silhouette to produce a vase that is harmonious in both shape and color. Designed by Alvar Aalto in 1936, his design gained notoriety at the Paris World fair for its innovative and alluring design. Perfect as a display piece or enhance a floral bouquet by placing it within this beautiful vessel.The Story of a Classic.